Although iOS, Android and Windows Phone all compete in the ongoing battle of the mobile platforms, it still makes sense for each of their respective vendors to create and maintain apps that serve a wider audience beyond their own ecosystems. Sure, Apple’s only charitable donation to the Play Store and Windows Phone Store is the inherited Beats Music at this point, but Microsoft is a lot more generous in this regard, and adding to a fleet of utilities already available at the App and Google Play Stores, the software giant has just dropped an official Outlook app for both iOS and Android, which is actually a rebranded and toned up Acompli app that it acquired back in December of last year. Full details, as well as those all-important download links, can be seen after the leap. Outlook has been a part of the Microsoft Office family for as long as most can remember, serving as a convenient means for users to process email. It has taken a while for Satya Nadella’s outfit to bring the likes of Word, Excel and PowerPoint to rivaling platforms, but with support for Outlook now a part of the line-up, those in ownership of iOS and Android smartphones and tablets can enjoy its broad functionality on the fly. 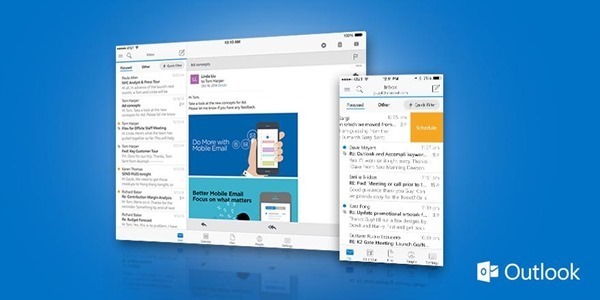 This isn’t, strictly speaking, Outlook’s debut for iOS or Android – Microsoft already has a scattered fleet of Outlook apps for mobile devices – but this release appears to be the real deal, and should prompt the eventual demise of those dropped before now. Right off the bat, the new Outlook app offers support for the likes of Gmail, Yahoo! Mail and iCloud, which is a plus, and is also, less surprisingly, compatible with Outlook.com and Office365. On first impressions, the interface looks tidy and unified, allowing users to manage mail, calendars and such without jumping through too many hoops, and while a ‘proper’ Outlook experience should perhaps have arrived a few years before now, today’s roll-out remains a positive move on Microsoft’s part. It’ll certainly be interesting to see what uptake is like, particularly since most mobile device users have their own means of managing email, and if you’d like to test Outlook out for yourself, the links are below. 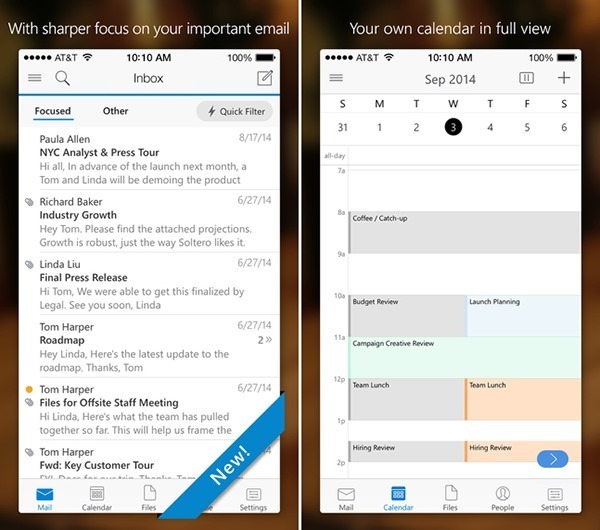 Outlook is a free download from the App Store and Google Play Store. Everyone at my company asks for Notes on there iPhone. I know there are apps out there for accessing Notes on an Exchange server but I was hopping this would be an all in one solution. I’m surprised you can’t access Notes but even more surprised that you can’t access contacts. I’m not seeing anything in this client to make me want to move away from the native iOS Exchange implementation. But maybe it will improve in the future. 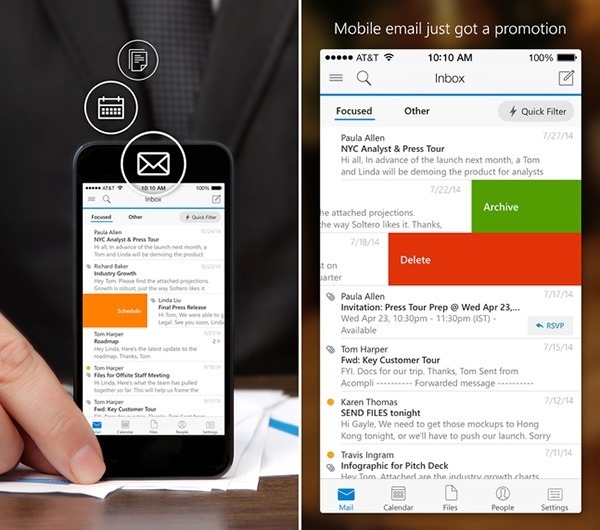 It’s not Outlook, it’s Acompli. Crashes on my JB iPhone 6 8.1.2. Resprings the device upon crashing. Anyone notice any differences from Acompli? Don’t waste your time on this app. It’s going to crash after few minutes of utilization and will never come up again.